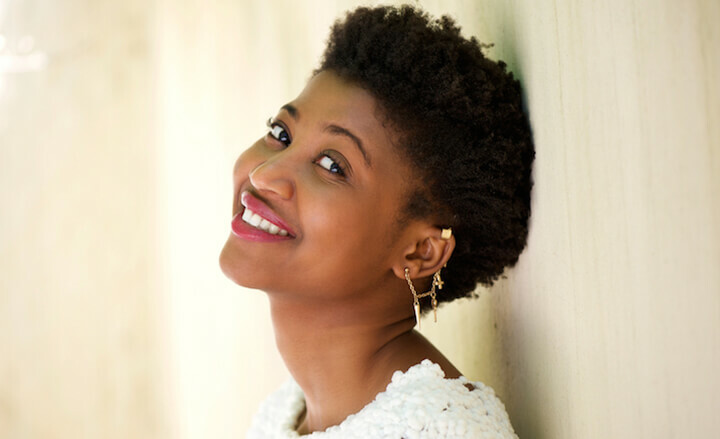 Creme of Nature was interested in launching a meme generator, where consumers could upload their own image and create a custom meme right on the Creme of Nature website. The meme generator needed to tie seamlessly into the brand’s #byNature social media campaign, and would require custom functionality and strategic design to be successful. Our team of designers and programmers collaborated to come up with a unique solution for Creme of Nature. We built the custom #byNature meme generator so that users could upload a photo, crop and resize the photo, add text, and change colors to create their own unique meme. After the meme was created, users had the option to share their meme on social media for the chance to win a prize, helping fuel the #byNature social campaign. 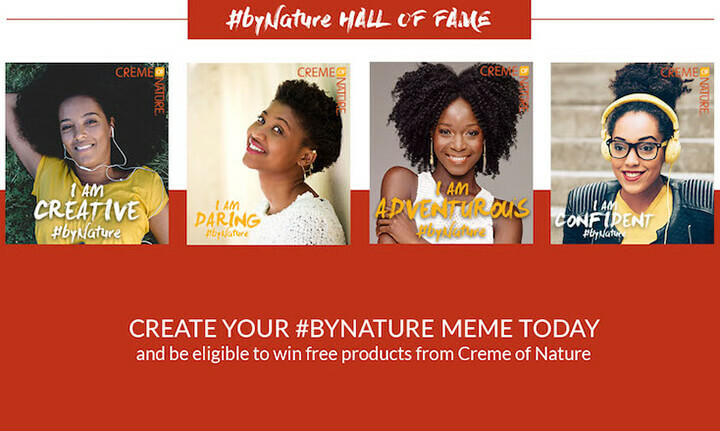 The meme generator led to heightened user engagement and ample user-generated content for the Creme of Nature brand to use as part of their social campaign. 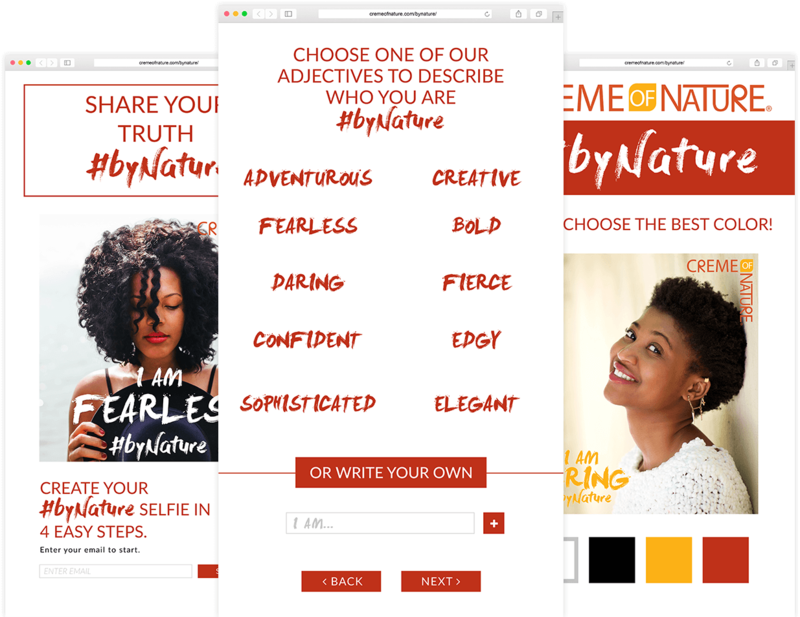 Throughout the run of the campaign, the #byNature campaign landing page received 67,798 pageviews, while the corresponding campaign email blast received 11,566 total opens and an impressive 915 clicks.